Water is essential to human survival. The plants we grow, the animals we raise, and the requirements of the human body to stay hydrated are all dependent on water…clean water. Rainwater fills streams, rivers, and lakes. It carries with it not only the potential for life but also a history of its own past. 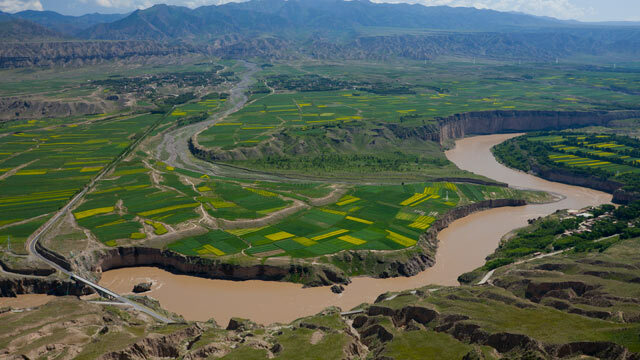 The Yellow River in China, known as the “cradle of Chinese Civilization”, travels nearly 3400 miles with more than 180 million people near the river. But it also accepts more than 4 million tons of waste each year which has resulted in a 40% decline in its fishing catch and it’s believed that more than 30% of its native species are now extinct. We are currently consuming and blindly tainting our water sources across the globe at a rate that far outpaces the Earth’s ability to recharge. It’s a runaway problem that requires a solution that’s more than just a few years of above average rain. The solution lies in holding ourselves accountable, changing our methods, and preparing the next generation to accept the enormous responsibility we will leave them with. Rain is the lifeblood of human existence, of life on our planet. And it commands our respect. Rain-fed agriculture used to be the norm but now more than 40% of the world’s agricultural production is irrigation-fed. And that’s putting a strain on the water tables as well as the rivers and streams that support our broader ecosystem. There are some areas that receive adequate rainfall allowing food production to flourish. To some extent, the more rain those areas get the more productive they are in terms of food production. But areas that do not receive enough rainfall to support rain-fed agriculture must rely on man-made systems to move water where needed, often sourcing it from great distances. It’s this irrigated land that often proves more difficult to manage. The importance of rain is generally stressed by those that reply on it and echoed by those that wish for more of it. So how can we, as a society, responsibly and effectively manage our rainfall for the benefit of the farmers that produce our food while leaving enough for those that live downstream? That’s the question. Areas with adequate rainfall face the challenge of capturing, storing, and diverting water when and where it is needed. Think of areas like the northwest or east coast. Though it may seem like “a good problem to have” it still requires planning and management. There are several processes that work collectively to provide a system to manage the process. The impact of proper management of rainfall is beneficial for the water table, streams, and rivers as well as those people that live downstream. Much like those areas that have sufficient rainfall to meet the local needs, areas without must manage what rainfall they do receive using an integrated network of systems and methods to capture and deliver water to municipalities and farmers that don’t have direct access. Las Vegas and the desert southwest are prime examples of areas that receive far less rainfall than their communities demand. Systems have been constructed in such areas to capture and divert water from riverways and available aquifers to meet the needs of the population and its industries. The impact is greater in areas where water must be moved over distance because water is pulled from rivers and streams as well as the water table depleting reserves and leaving less for those communities downstream. What Can Happen if We Deplete Our Sources? The Colorado River rarely reaches the Sea of Cortez. The Aral Sea in central Asia has lost half its surface area, most of its volume, and all of its once-enormous fishing industry. China’s Yellow River is over-dammed, highly polluted, undrinkable, and prone to flooding. The Salton Sea has transformed from hip hangout to environmental disaster. Rain is important because it feeds our immediate needs without requiring us to tap our reserves in the water table. Rain provides a renewable resource that can meet our food production needs if managed properly. But we must understand that nothing in nature exists by itself. Rather, our waterways and the rainfall that feeds them are all interconnected affecting huge population centers along the way. With this resource comes tremendous responsibility. If history shows anything, it’s that we have done very little to manage the resources we have. The Colorado River no longer reaches the communities that once flourished near the Sea of Cortez. The Aral Sea has all but disappeared causing the collapse of its once thriving fishing industry. China’s dam-it-all strategy along with rampant deforestation has produced numerous man-made disasters affecting hundreds of thousands of people along the Yellow River. The Salton Sea, an accident to start, is now drying up and casting harmful dust into the air every time the wind blows. It’s imperative that we engineer a system that fosters food production while protecting the basic right to water for all involved. Of course, the mission is pointless unless we have the proper perspective and accept responsibility for the resource and all who depend on it. Perhaps the students that are entering the Edible Learning Lab today will craft an ingenious solution to our current problem.